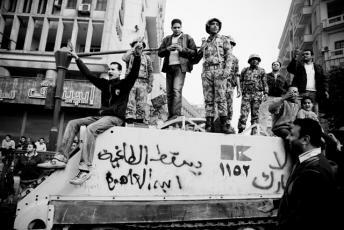 No matter how it unfolds, the Egyptian revolution will go down in the history books as a defining moment in the 21st century. Millions of Egyptians brought down one of the world’s most repressive regimes, that of the US-backed Hosni Mubarak, in just 18 days. Their bravery, perseverance, and tactfulness in the face of the regime’s brutal crackdown not only triggered uprisings across the Arab world but inspired and influenced protests against government austerity in the US, Spain, Portugal, and Greece. Despite the fact that it is only a few months old, it’s important to begin piecing together a people’s history of the revolution to convey what happened and how it happened so that the lessons from this critical struggle can be disseminated. Since the spark of popular revolt electrified Tunisia in January of this year, uprisings continue to spread across the Middle East and North Africa as civil society wages pitched battles against repressive dictatorships and monarchist regimes. Largely unarmed masses from Syria to Yemen have faced down lethal attacks from state forces as they demand basic freedoms, workers’ rights, and an end to Western influence. 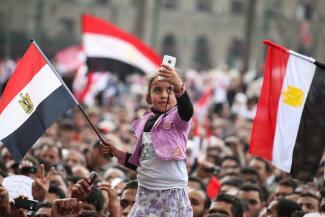 Leaders have been driven out in Egypt and Tunisia and have left neighboring politicians shaking in their boots. 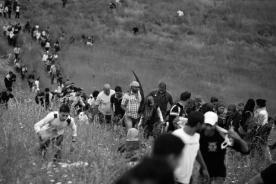 Notes from the Global Intifada – Believe it or not, over the past year we at Left Turn had been discussing changing our tag line, it is as though a long time can go by without fundamental change happening, and then all of a sudden there is a week when everything takes off. 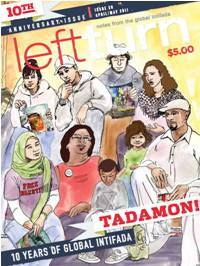 Ten years ago when Left Turn emerged, momentum seemed to be on our side. In 1999 historic protests shut down the World Trade Organization (WTO) meetings in Seattle. A wave of anti-corporate globalization protests that had begun building in the movements of the Global South seemed to sweep into North America and finally caught the people of the US. A project that could document and project this global rebellion for a specifically US audience seemed necessary and full of possibilities. The sun is quickly setting on the rule of tyrants in the Arab world. 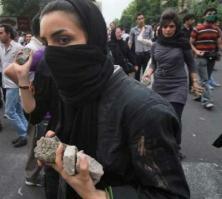 Revolution is on the agenda from Morocco to Bahrain. After decades of passivity in the face of dictatorship, the Arabs are rising up like a waking giant to demand their freedom. Tunisia was billed as a citadel of stability and an economic miracle. Just a few months ago, the most anyone hoped for was that its ailing president-for-life, Zine El Abidine Ben Ali, would not bequeath the country to his wife or son-in-law. 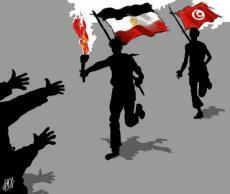 No one even dreamed that the Tunisians would become the vanguard of the Arab revolution. The sounds of the jet fighters circling Tahrir Square while I was sitting glued to the TV screen in my apartment in Manhattan, New York, were horrifying. Once, twice, three times, four…my heart and my nerves were simply breaking down. It didn’t take much thinking. 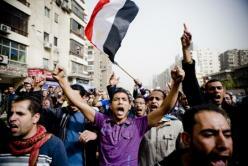 I had already been considering heading to Egypt as soon as I saw the developments on January 25.